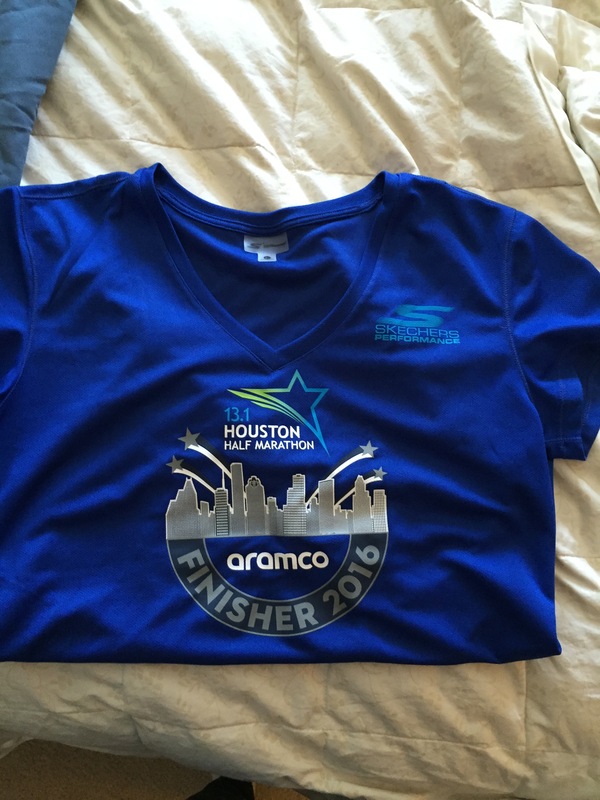 Last year around this time I decided that I was finally going to take on the Chevron Houston Marathon instead of doing the Aramco Half Marathon again. And then MCM happened and I knew that there was no way I’d be prepared for a full in 3 months so I dropped down to the Half. I’ve done this event a few times in the past….maybe 5? As you can imagine, I’m not one of those who keeps close count. Last year they changed the course a bit but it’s still just as much fun! 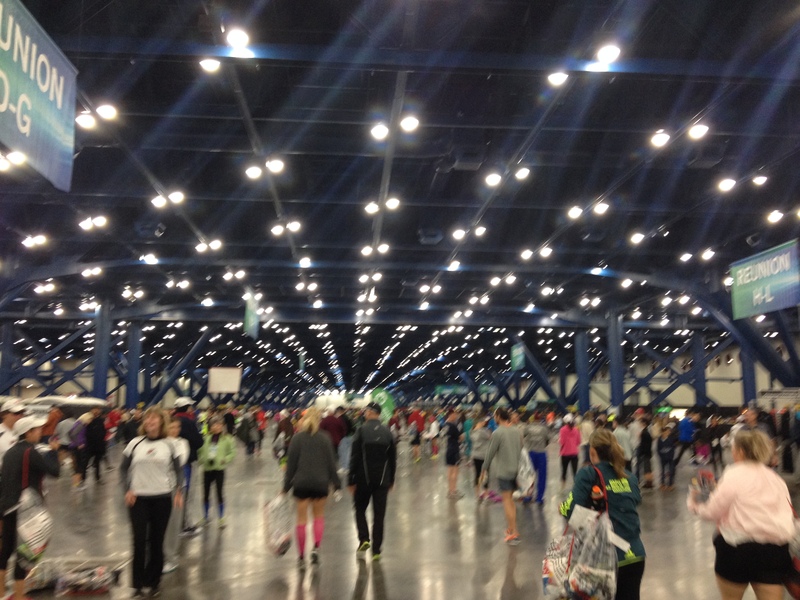 The Houston Marathon expo is held at the George R Brown Convention center in downtown Houston. This is also where the race starts and ends on Sunday. I mention this because it seems to me that this area has been under construction for a bazillion years — and still the Marathon manages to do an amazing job keeping things organized in the area! 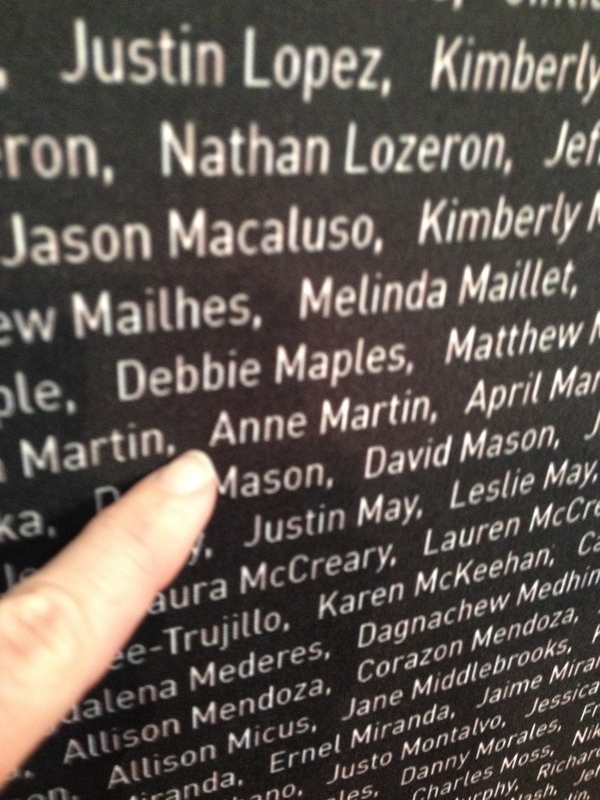 I love that expos are having these walls more and more these days…this one was in alphabetical order so it was easy!! 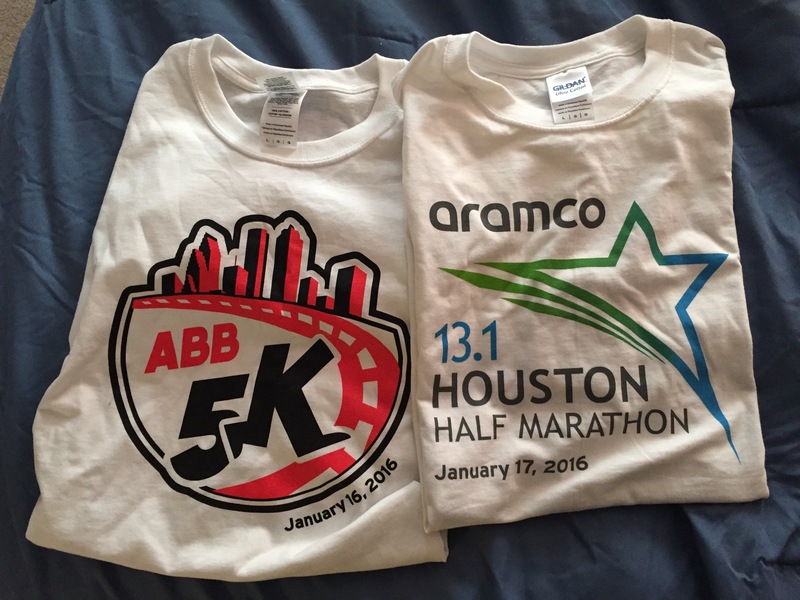 One of the nice things about Houston is that you get a cotton race shirt for each event…. And, spoiler alert — for the half and full you also get a tech finisher shirt…. I stopped by the Skecher booth and ended up talking to one of the corporate sales reps (Hi Casey!!) and she caught me looking at the new GoFlex Walk shoes – I needed some slip ons for airports and post-race and these have the new awesome memory-foam like insoles. Huge “squish” factor and super comfy! 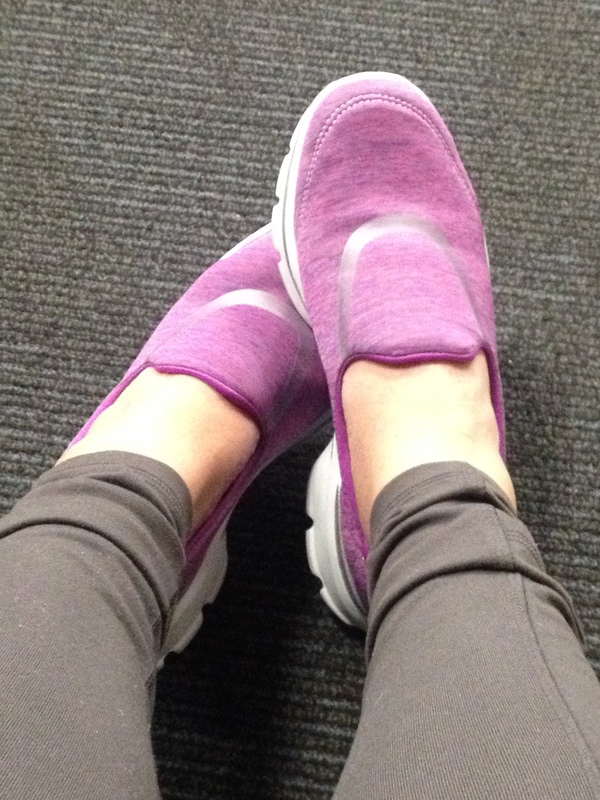 Of course it didn’t take much persuading to get a pair on my feet – hey, expo pricing plus 20% off!! These are SO comfy!! And I got word that there may be flipflops coming this summer….!!! I made another loop around the convention center and decided to head back to the house- I planned to visit dad and it would be a sort of early day on Saturday. 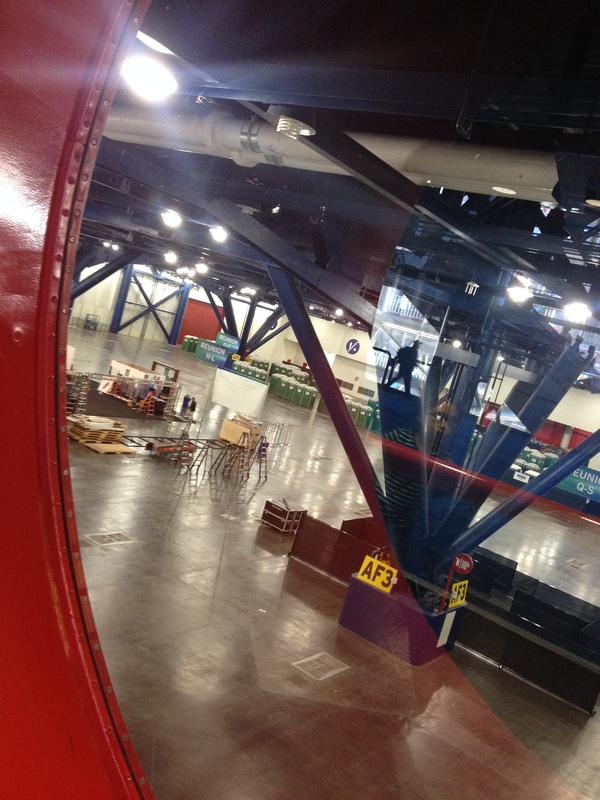 On my way out, I grabbed my usual shot of the ground floor…where all of the action is on Sunday morning!! 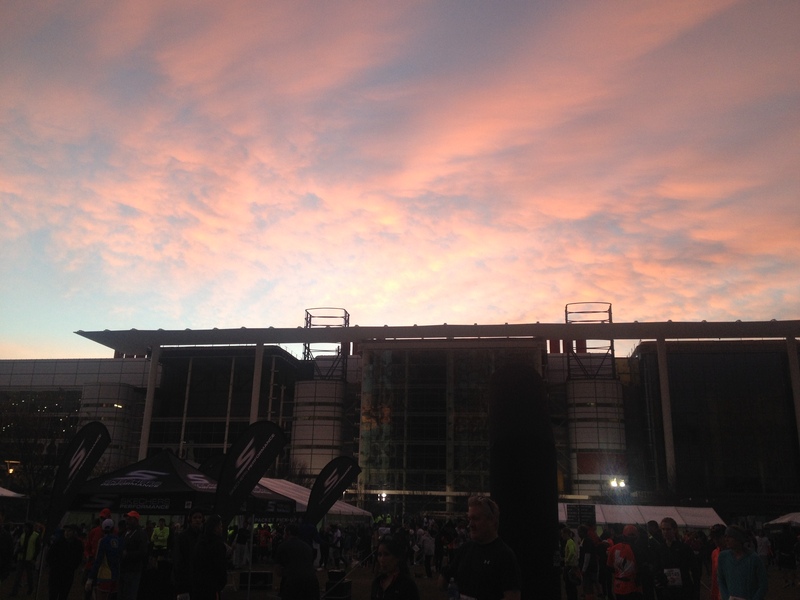 A peek at the set-up for the runners’ area for Sunday morning! 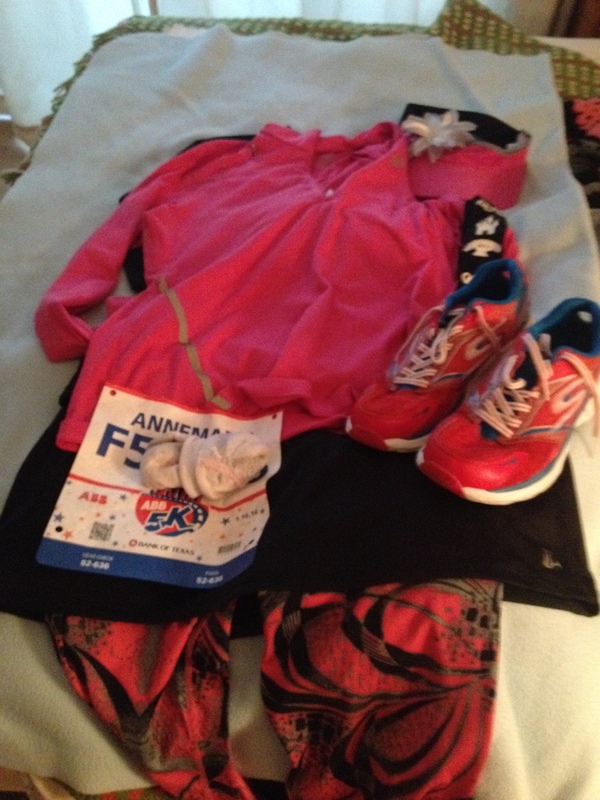 Skirt Sports, Skechers and Fellow Flowers — It’s gonna be a great day!! 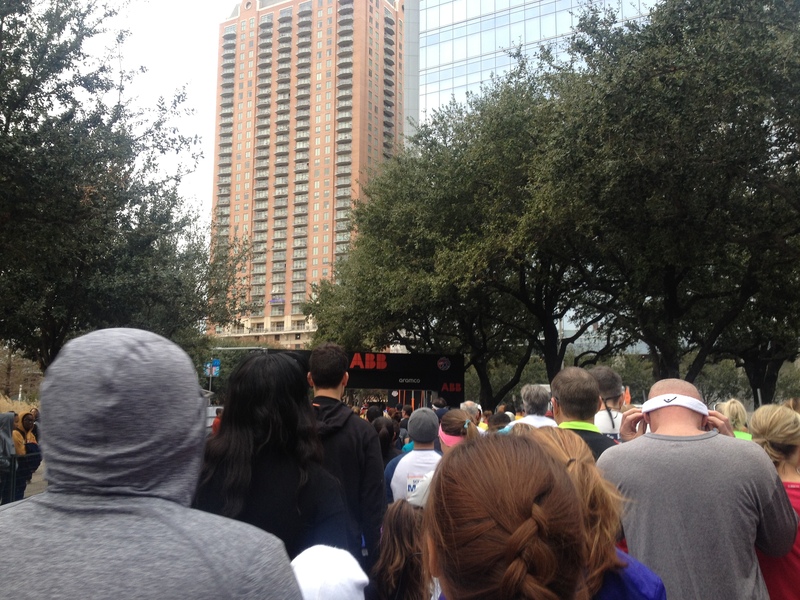 I headed back down to the convention center for the 5K and had plenty of time to park and get to the start at Discovery Green. It was a gorgeous morning! 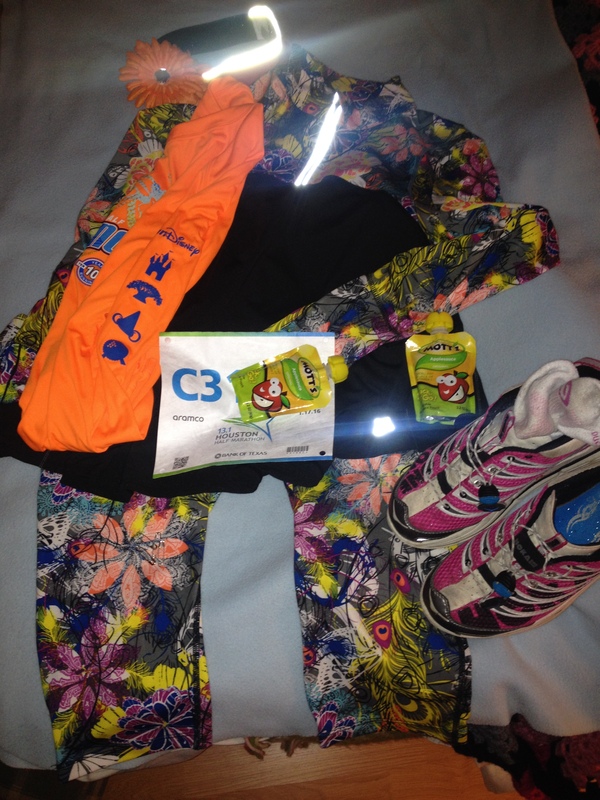 A little chilly but…. The 5K is a flat out and back-ish route – not a lot of support on the route but the start and finish line are full of excitement! 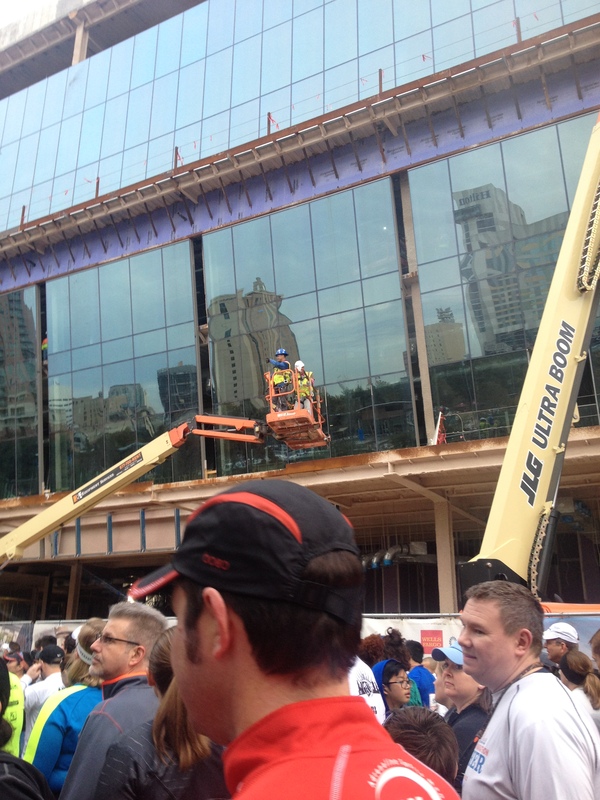 This guy was filming the start as his lift was coming down!! More Skirt Sports and another Flower!! I managed to get the same lot as Saturday which was a block or so from the convention center. 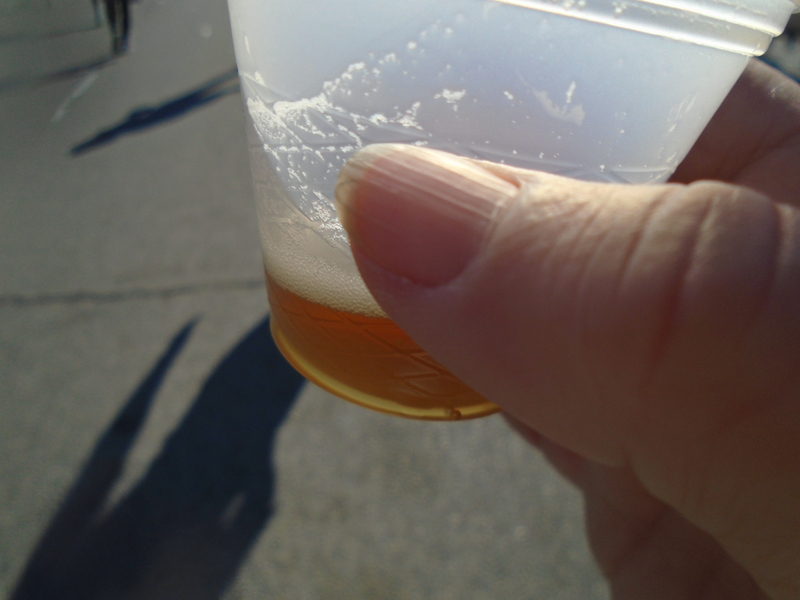 I had plans and hopes to get in in time to go to Mass (which, bad Catholic alert – has REALLY changed a lot!!) I wasn’t the only one getting in early!! Though I’m not sure how I ended up in this particular corral…. 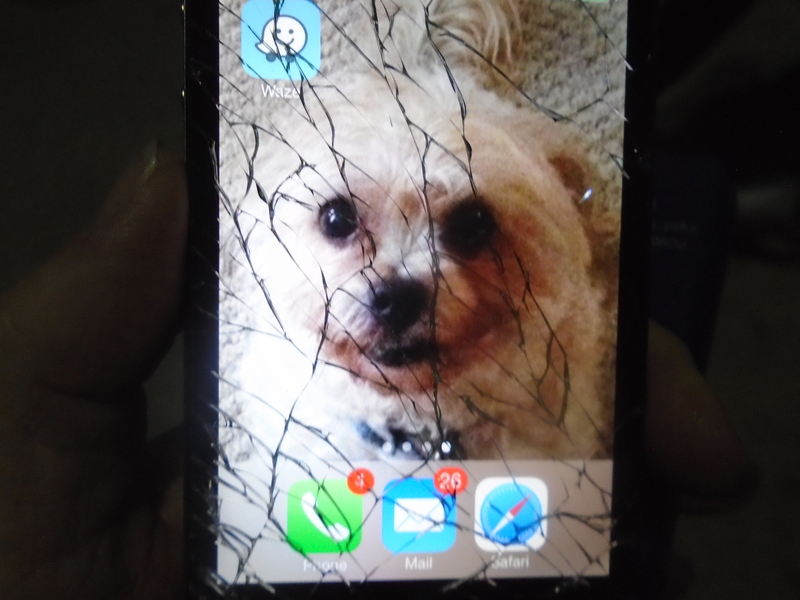 And in my shock, I dropped my phone and this happened…. 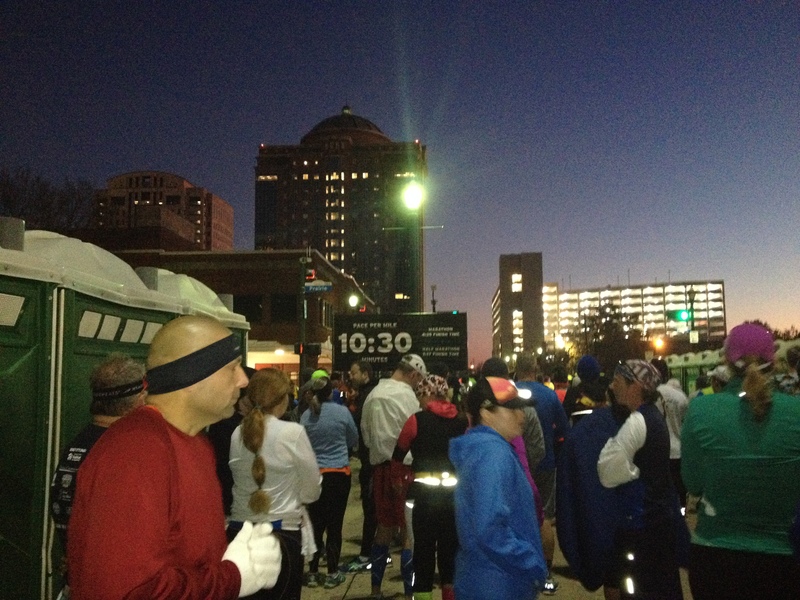 The race got off on time as usual – last year they changed the course, but I didn’t really pay a lot of attention. This year I paid more attention and have to say I do enjoy the new course a lot! I miss running through the neighborhood in the Heights, but there were still folks out when we went past! 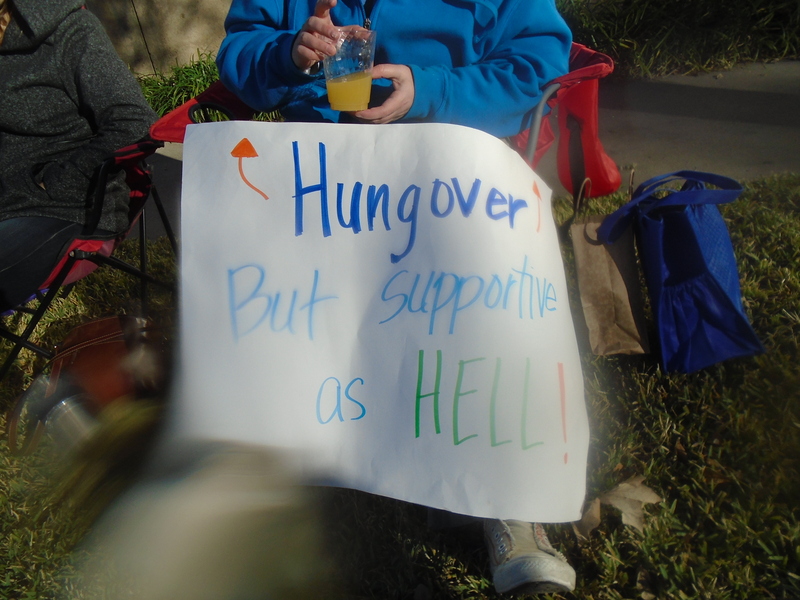 The finish is pretty much the same, down Allen Parkway where there is a TON of fun support! 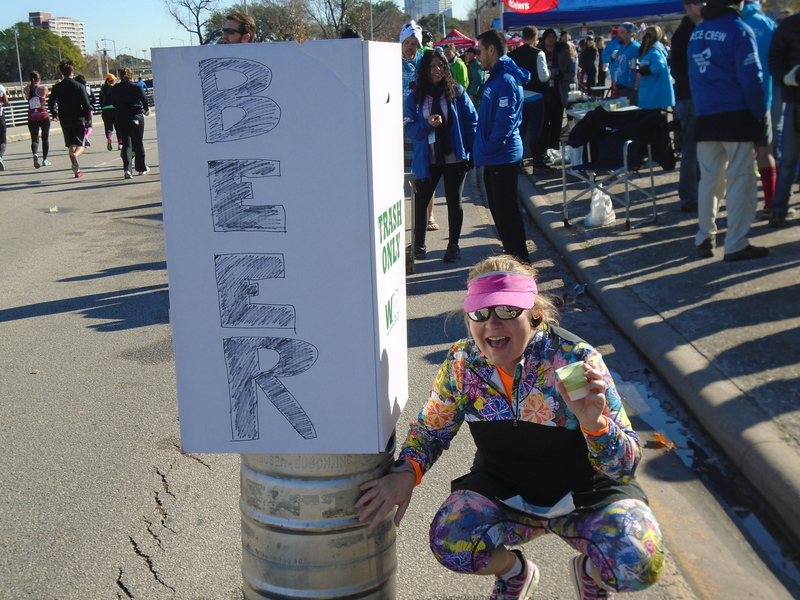 Lots of music, hash house harriers and ….beer. This one’s for you Vanessa!!! 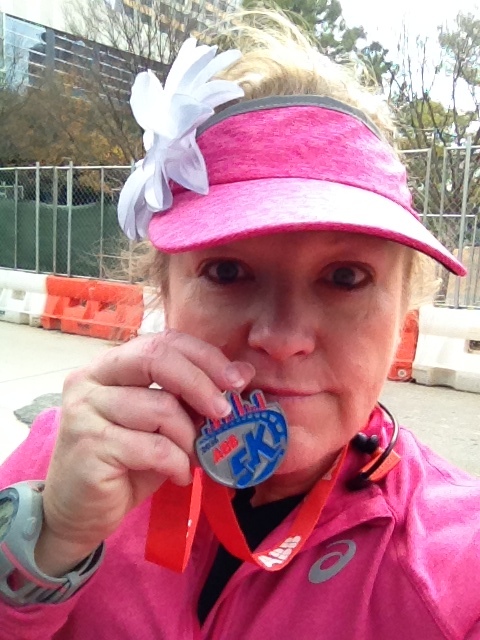 I made it to the finish – no records broken but I’m getting back on track, time-wise. And my splits are getting more consistent as well. And headed back to shower and spend the rest of the day with my dog and my dad!! I have to say, that if you’re looking for a January half or full, you should give this one a try!! 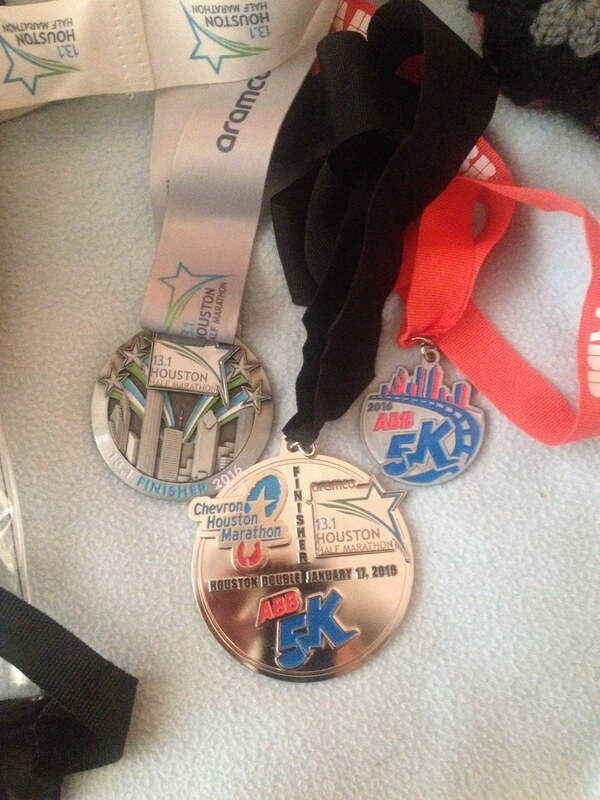 Consistently the Houston Marathon is one of the most organized well run events I do! 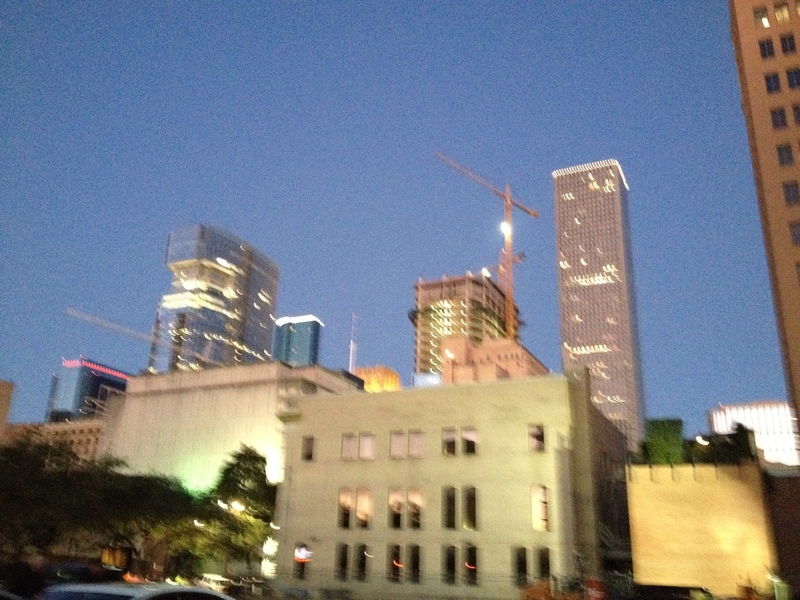 Even with all of the construction that’s going on in Houston, they manage to work around it with very little disruption. And you get a lot of bang for your registration buck!! 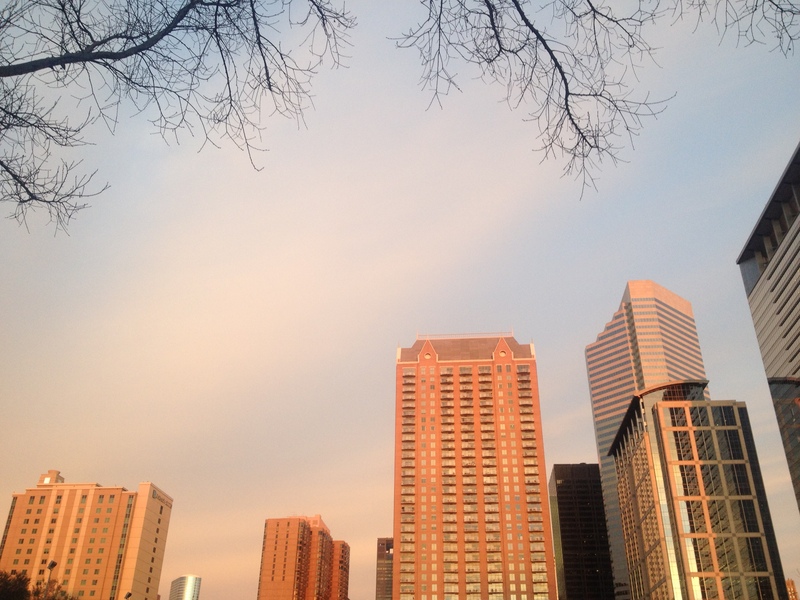 ← Spring Is In The Air! !